I’m passionate about spreading my love of reading to my children, so we own a ton of books. Right now they are spread all throughout the house in random baskets and on their playroom bookshelf. 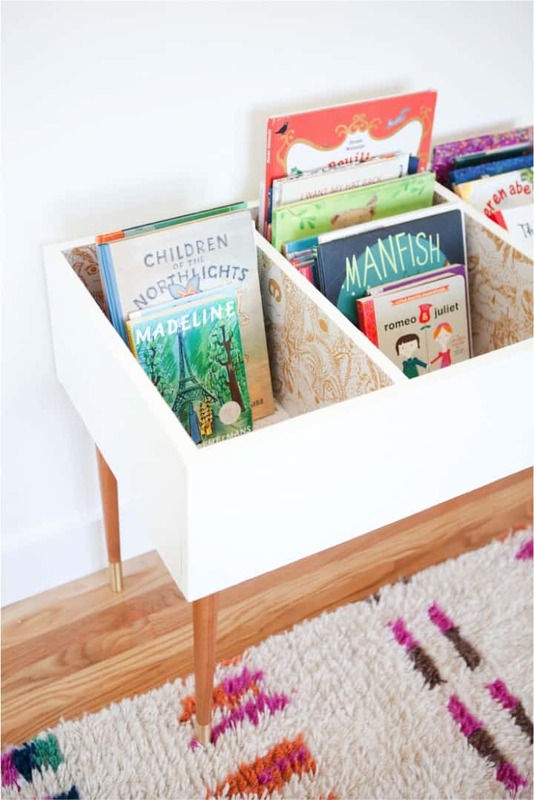 I desperately need to find kid book storage ideas that will work well in our home! 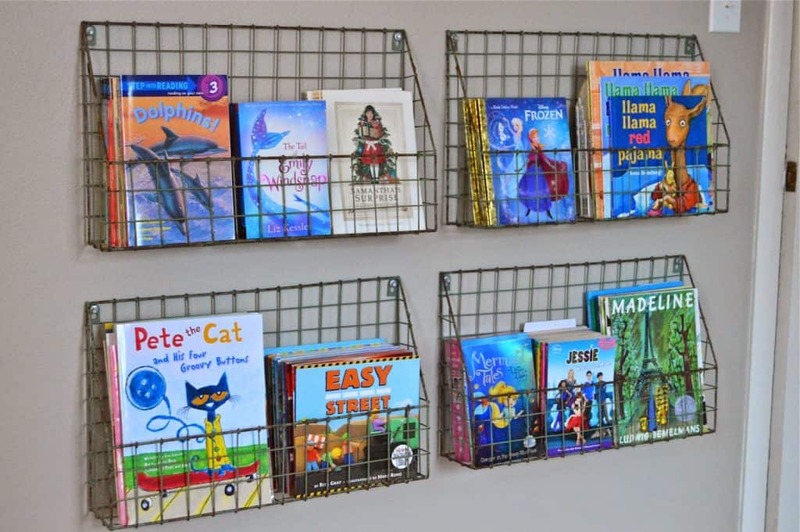 I’m looking for a solution that will organize their books for easy access, but also something that will allow us to display them beautifully, so they blend in with the playroom decor. If we take the time to take great care of their books, they’ll understand that reading is an important and special activity and hopefully will learn to love reading. 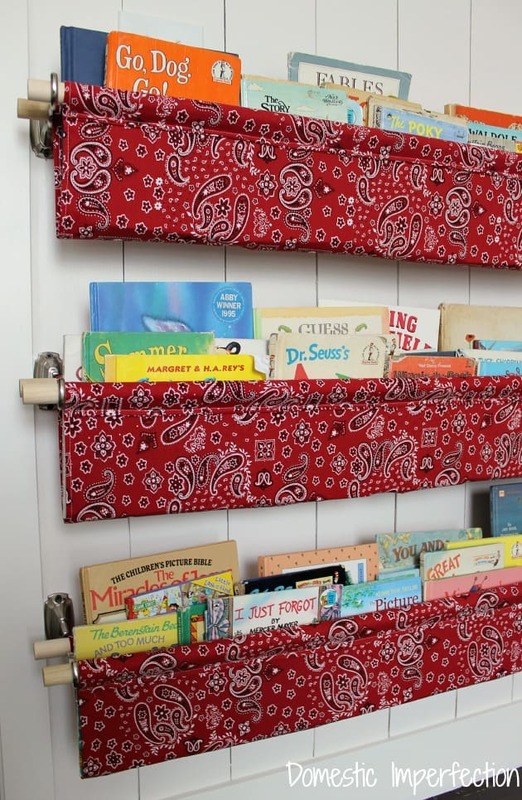 Here are 11 creative ways others display and store their children’s books. I hope you find something to inspire you! 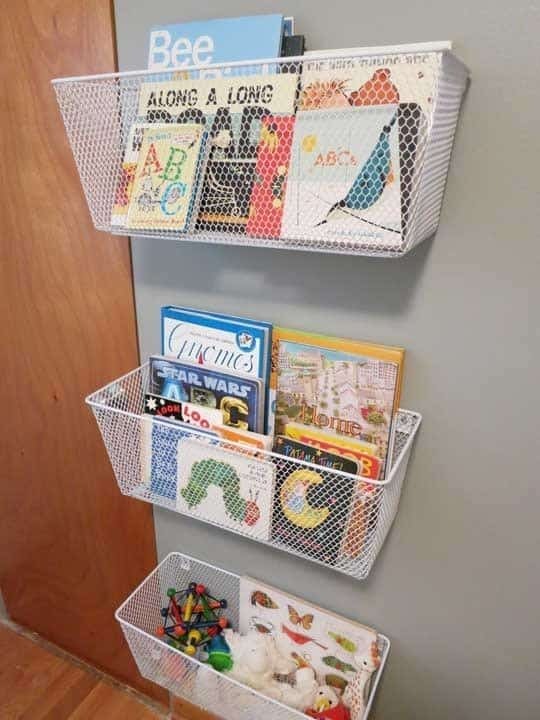 Baskets are attached to a wall to store kid books and other toys. 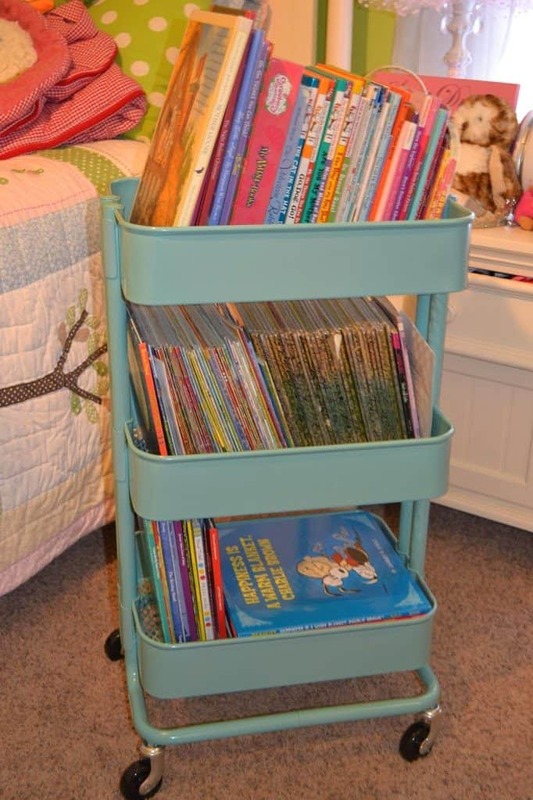 This is a great DIY project for a little book stand, which I think is such a cute idea. 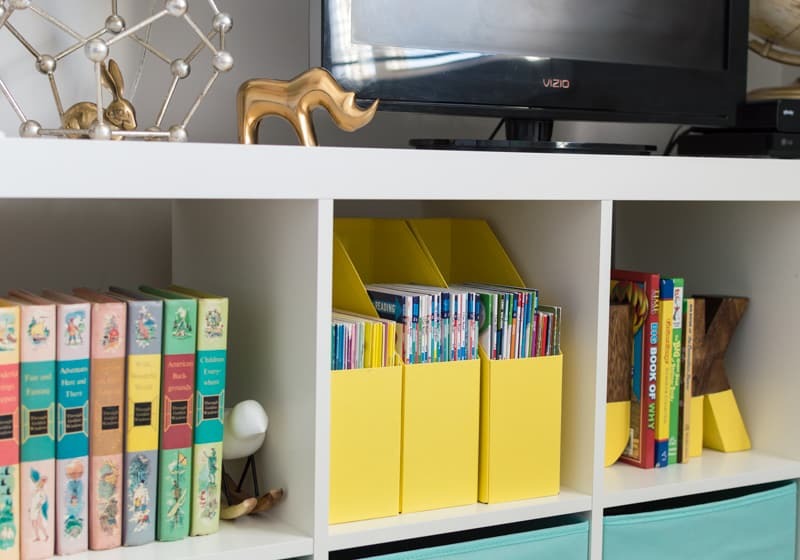 We have one of these bookshelves in our kids’ playroom, but I love how she uses magazine holders to store the books neatly on the shelf. 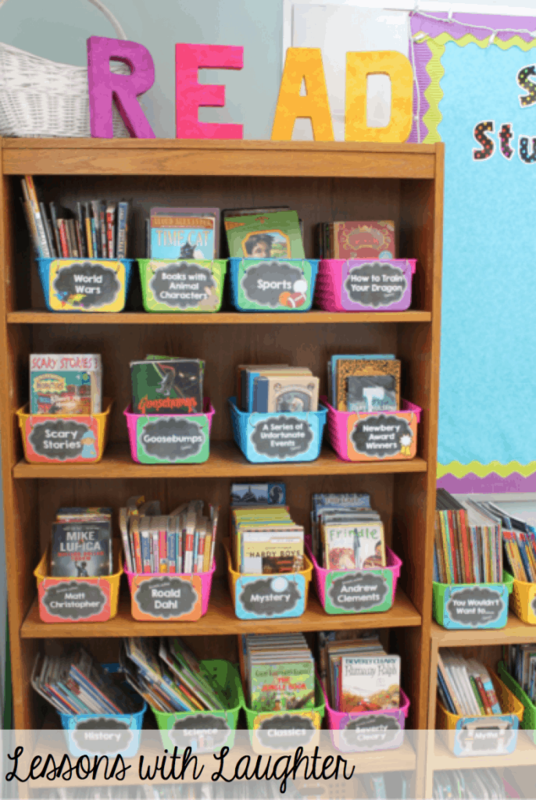 I can assure you, our books do not look as organized so I’ll definitely try this idea out! This is in a classroom setting, but it can definitely be implemented at home as well! She organizes like books together in little baskets. She organizes them by author and subject, which is so smart. 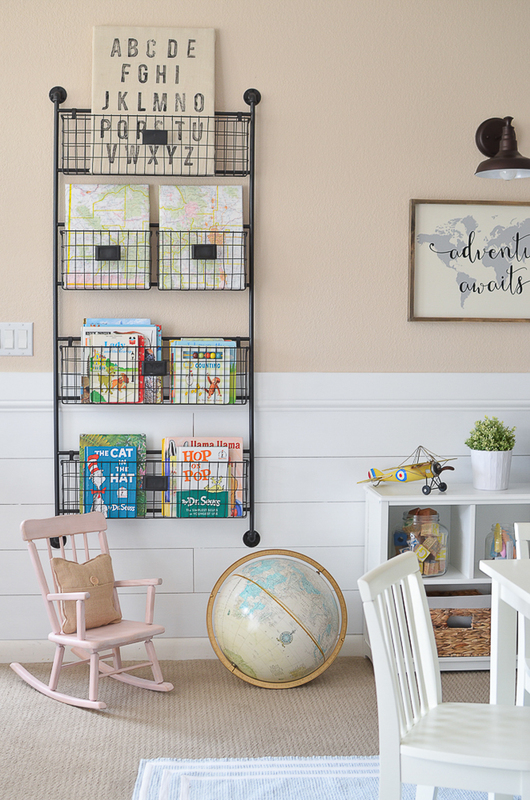 This is a really creative idea – painted crates attached to a nursery wall. 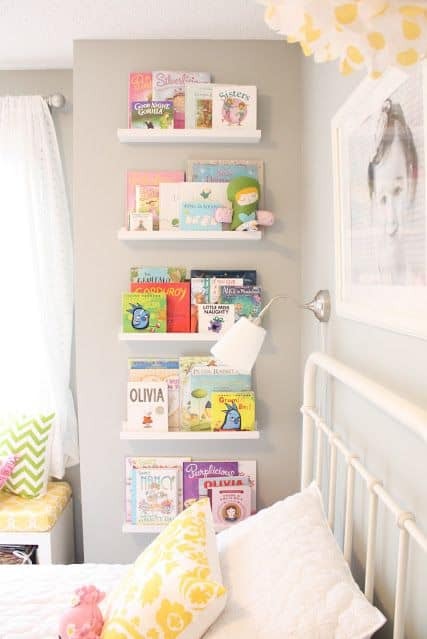 I think this is a great idea for a baby’s room to hold his or her first books. 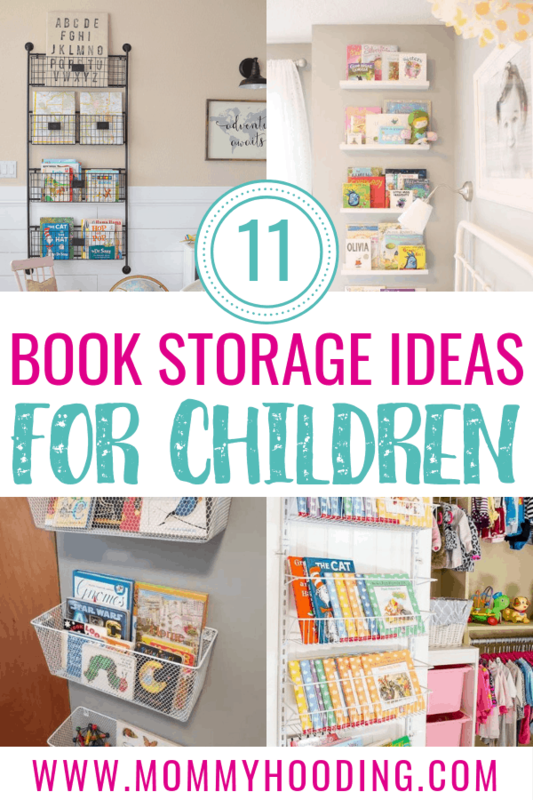 I can’t have a kid book storage roundup without adding the infamous picture ledge shelf idea! Use picture ledge shelves as a wall book storage display. This is a great way to utilize vertical space on a smaller wall. I am obsessed with this wall organizer – very farmhouse industrial! This entire playroom is beautiful and it really fits perfectly in it. I tracked down the organizer here. We took a look hanging baskets prior, but I had to add these because I love the wired look. They’re also setup a bit different too, for more inspiration. I would have never thought of this idea! 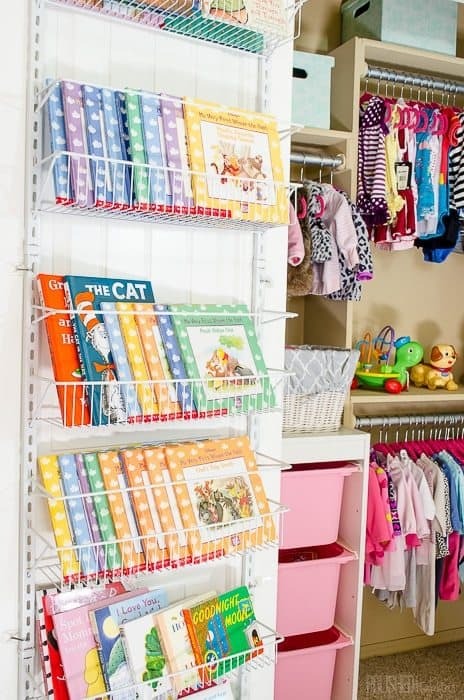 An over the door organizer works perfectly to store books in this little girl’s closet! Such a brilliant hack and a GREAT use of space. Here’s a homemade option for all you DIY’ers! These are book slings, which I think look awesome. 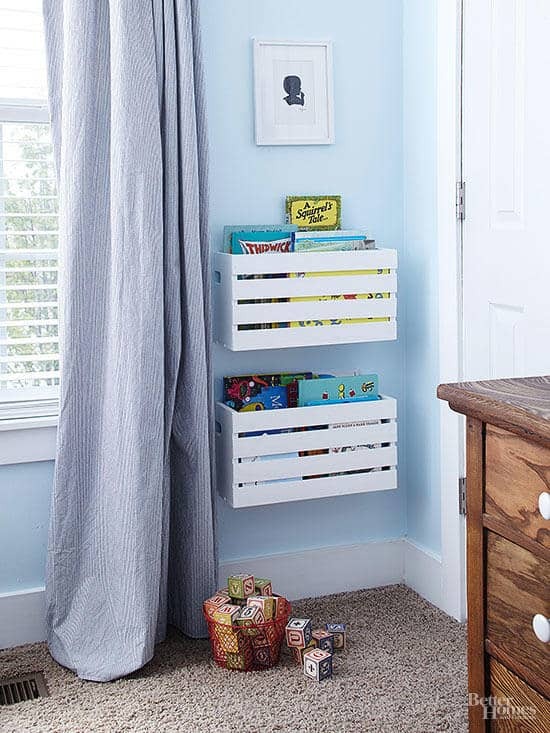 You can choose whatever fabric you’d like to match the room you’re storing the books in. I’m not sure I can ever get through an organization or storage roundup without mentioning one of these carts! They’re so versatile, so of course they work perfectly for book storage. Added bonus: you can roll it wherever you need it. I like this one, personally. There you have it! Have any of these ideas inspired you or do you have any other ideas we haven’t explored in this post?